When it comes to TV antennas, don’t you wish they made them like they used to? They do, but “they” isn’t who you think it is. Wouldn’t it be nice if, decades from now, your kids used the same antenna you put up on the roof? (Wouldn’t it be even better if you could imagine them actually moving out?) Today’s prominent TV antenna manufacturers have products that look just like the ones your dad put up on the roof; but in fact, today’s antennas are made from thinner aluminum and thinner circuit boards. If you’re looking for the set-it-and-forget-it antenna, you want to look at Televes. The company is the only one that uses laminated aluminum, which is thicker and stronger than extruded aluminum. On average, Televes circuit boards are two times as thick as their predecessors, which means these units do a better job of holding up to harsh weather. Compared to the TV antennas of yesteryear, Televes units are smaller, more powerful, and include advanced features. The company’s DAT790, DAT790 Mix, DAT790 LR and DAT790 LR Mix are the only antennas that have built-in Smart Amplification amplifiers which automatically regulate gain. They also have a Smart Filter function that blocks LTE signals from interfering with HDTV frequencies. These features give viewers more channels with better reception. The DAT790, which is one of the best TV antennas for UHF-only markets. The DAT790 Mix. This offers the same signal-grabbing power as DAT790 with the added capability of receiving VHF broadcasts. The DAT790 LR Mix. This long-range antenna receives UHF and VHF signals. The DAT790 LR, a powerful TV antenna designed to receive UHF signals from very far away. The DigiNova, the perfect antenna for apartment dwellers… small enough for indoor or for home. Solid Signal is America’s authorized dealer of high-quality Televes TV antennas. 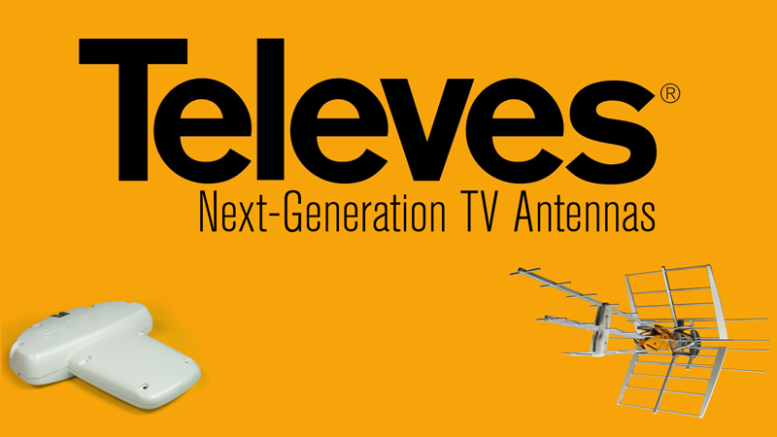 If you want a TV antenna that will stay in your family for generations, try Televes. If you’re not sure about which Televes product is best for you, Solid Signal can help you choose the best UHF/VHF or HDTV antenna for your home entertainment system. You also can call us at 877.312.4547.